A fashionable take on traditional Roman shades for your Colorado home, The soft overlapping folds of the Hunter Douglas Vignette® Modern Roman Shades offer the style of a custom Roman shade, as well as the ease and durability of a roller shade. 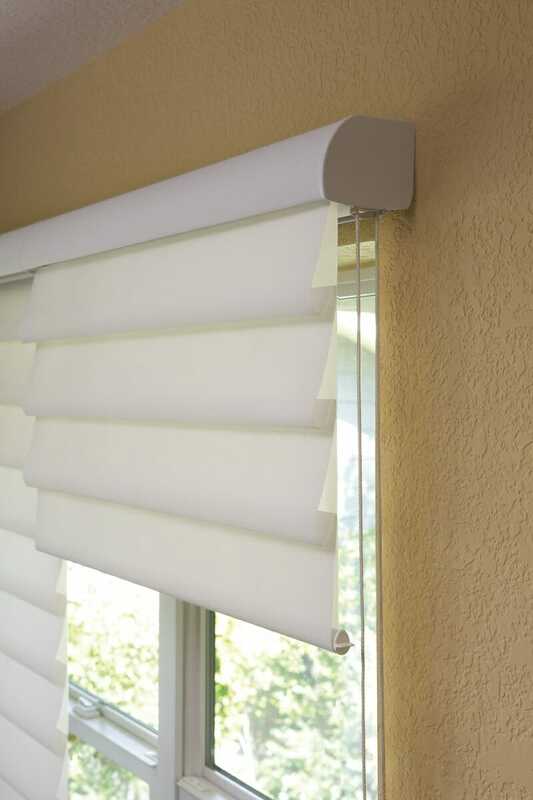 The Hunter Douglas Vignette® Modern Roman Shades both roll, and stack with consistent folds and no exposed rear cords for enhanced child and pet safety. Offered in sheer, light-filtering and room-darkening fabric opacities, and a range of styles and fold sizes, these shades are the perfect alternative to the traditional Roman shade. 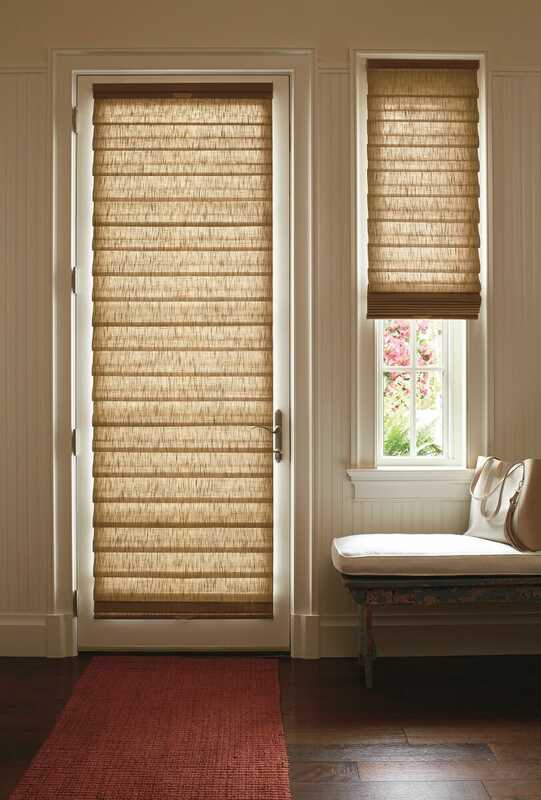 For the look of our Vignette Roman Shades with the added versatility of a sheer, see our Pirouette® window shadings. 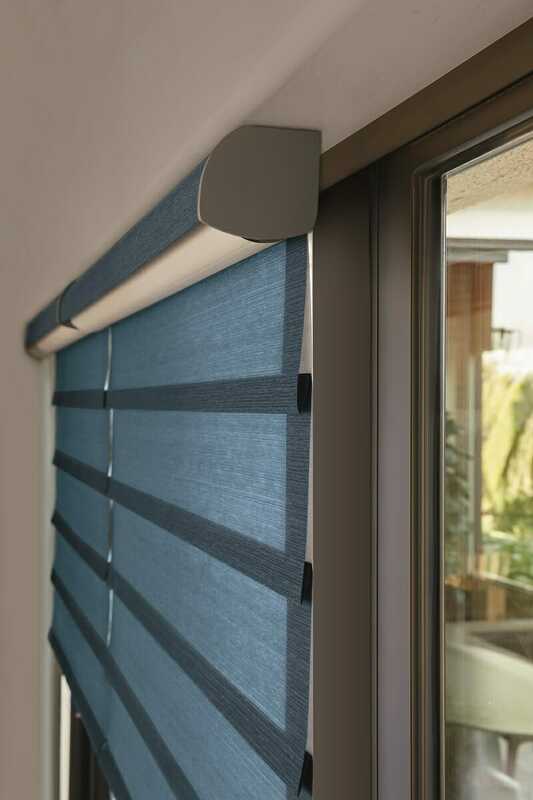 Contact New View Blinds and Shutters so we can guide you through the many options available with the Vignette Modern Roman Shade. A 4-inch contoured fold for that traditional, yet modern, look. A 6-inch flat fold that is neatly pressed for a defined finish. Our most energy-efficient version of the classic Vignette Roman Shade design – these shades trap air, creating an extra layer of insulation to keep your Colorado home cooler in the summer and warmer in the winter. Protect your furniture, flooring and artwork from fading from the Colorado Sun with at least 99% protection from harmful UV rays. The Top-Down/Bottom-Up feature offers a more versatile approach to light control. Open from the top, from the bottom, or find somewhere in-between–for the perfect balance of privacy, light and view. 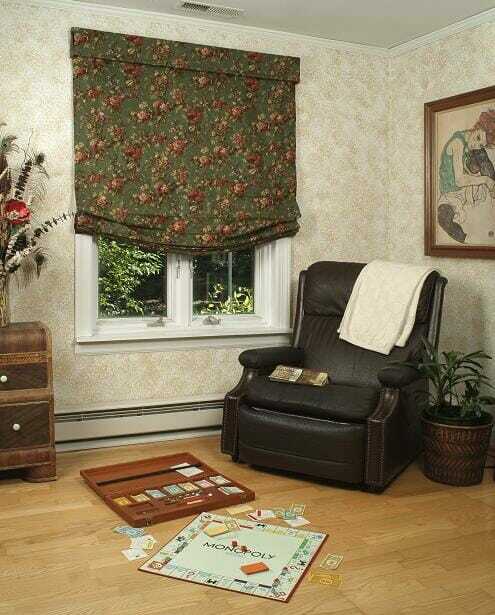 PowerView allows you to control your window treatments with a mobile device or the sound of your voice. 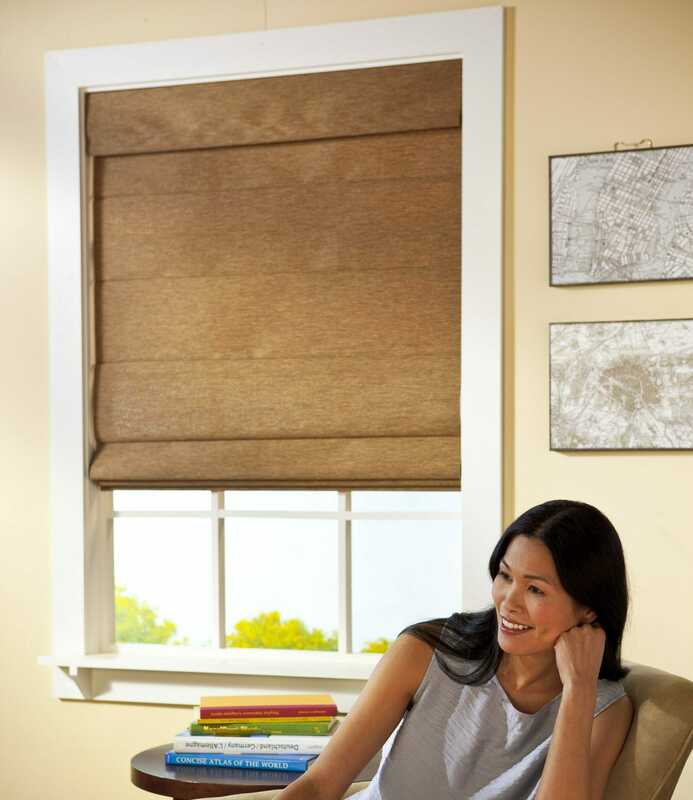 You can set your blinds to movie mode, work mode, or 7 a.m. mode with the touch of a button, without leaving your seat. It’s effortless, fun and smart with perfectly smooth operation. 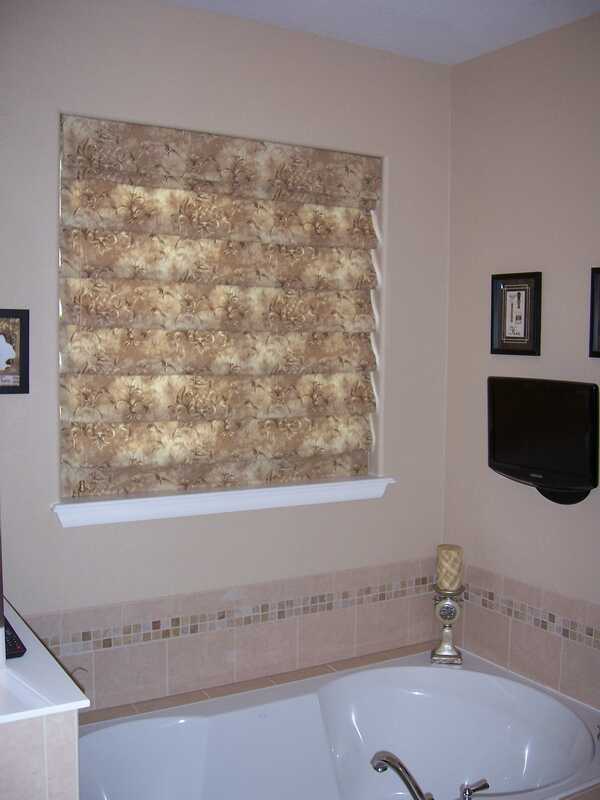 Color Lux Soft Roman Shades adds warmth and sophistication to your Colorado home. Color Lux Soft Roman Shades are available in four different styles with five different operating systems, including Top Down-Bottom Up. Linings are available in light filtering and blackout, and shades can be ordered as two or three-on-one headrail systems. 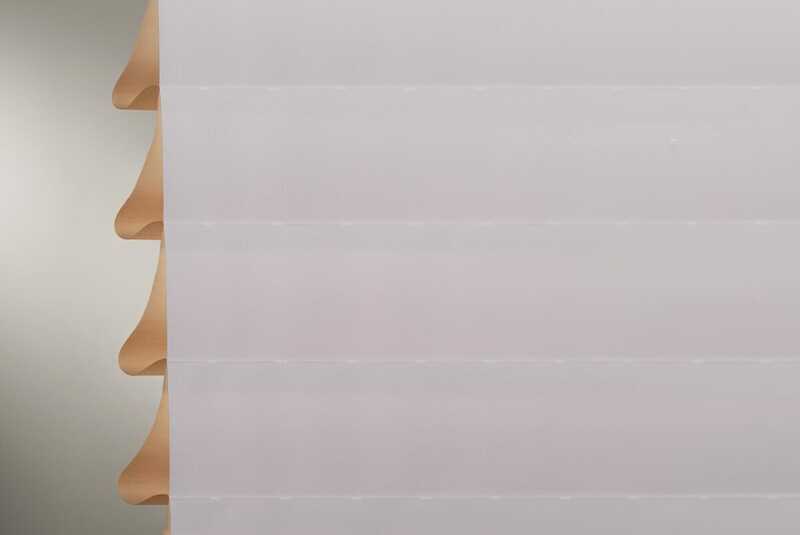 Available in Linen, Sateen Luster and Sateen Matte, Color Lux soft roman shades may be ordered from the wide array of patterns and colorways shown in the Color Lux Window Solutions Design Tool. 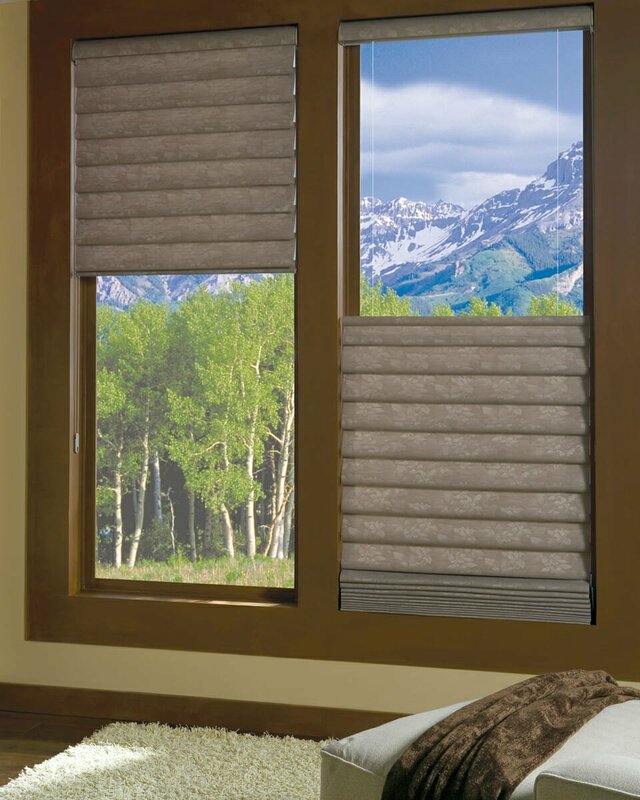 Contact New View Blinds and Shutters and we’ll guide you through the many choices available and show samples directly in your Colorado home. 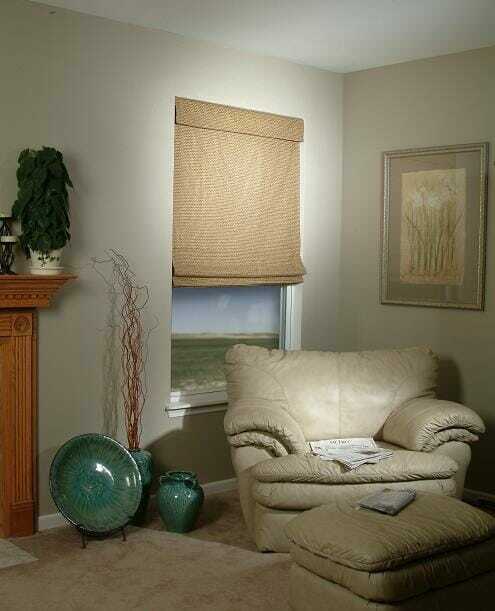 Choose a Hobbled Roman Shade design and enjoy a classic look with billowing folds cascading the shade’s length. This shade is recommended for textures and solids. This shade is not recommended for designs with a pattern that will be interrupted by the pleats. Select a Flat Roman Shade that provides a tailored look as the panels hang smoothly when lowered and gather evenly when raised. Choose a relaxed Roman Shade style that lies flat with a gentle “smile” at the bottom when lowered, and billows up in soft gathers when raised. The classic roman shade has decorative seams through the front fabric that provides added texture when the shade is lowered. This shade is recommended for textures and solids. This shade is not recommended for designs with a pattern that will be interrupted by the pleats. We will be happy to visit your home in Colorado at your convenience to assist you in making the right decision for your new Roman Shades! We love our shutters!!!! It makes the bedroom look like a totally different place.